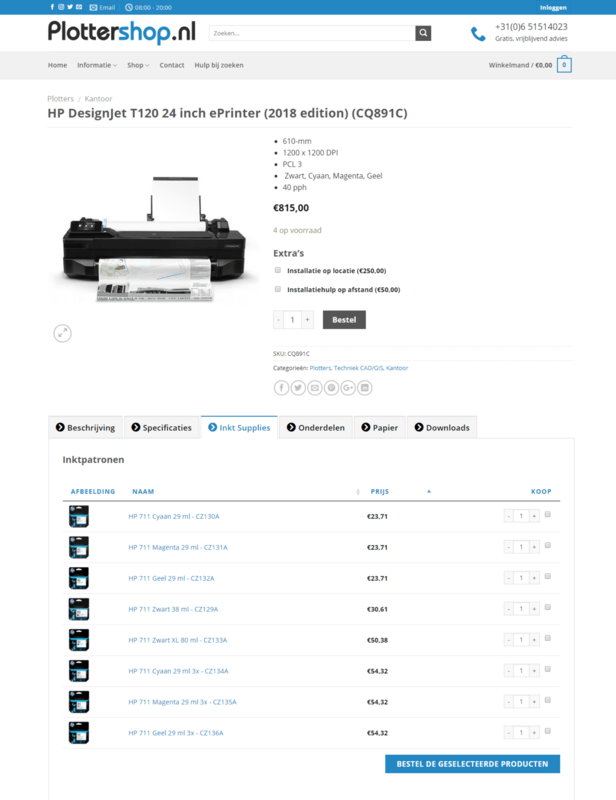 Plotter Shop is a Dutch company that sells large format printers. They use our WooCommerce Product Table plugin to display WooCommerce related products in a table on the single product page. 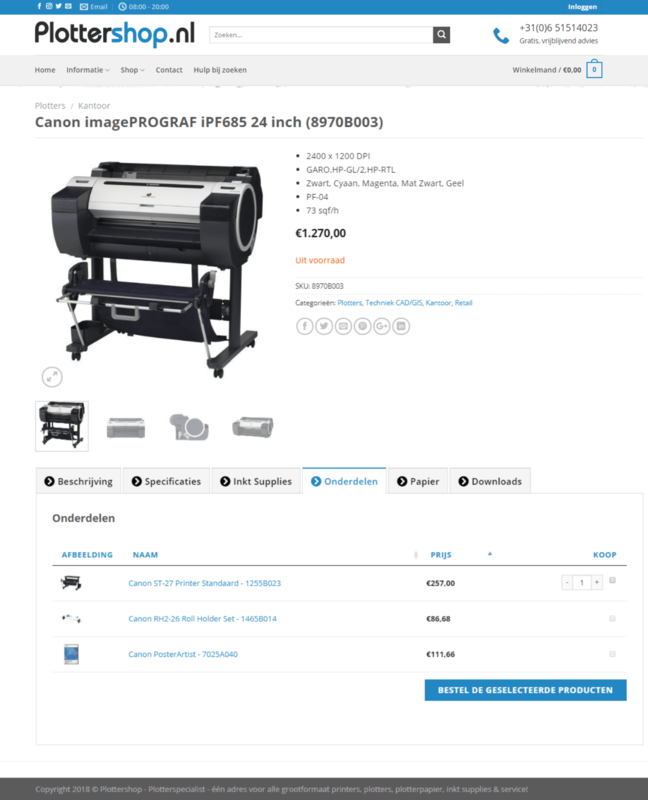 Plotter Shop’s website acts as a WooCommerce product catalog for their customers. Each printer has one page with a large image and a general description. A series of separate tabs below the image display extra information including the technical details and related products. Four of the tabs include different related product tables for ink cartridges, paper, print heads and downloads. This is where our WooCommerce Product Table plugin comes into action. It’s used to list the related products in a user-friendly format that can be sorted by price or name. From the table, it’s just one simple click to add the product to your shopping cart. You, too, can add extra tabs to individual product pages like Plotter Shop have done. All you need is the WooCommerce Tab Manager plugin. Use WooCommerce Product Table to list related products in a table. PolBazar24 uses Product Table as a WooCommerce one-page order form plugin to sell their wholesale Polish food products. It lists important information about each product in sortable table. This includes the product featured image to give a visual element to the table….